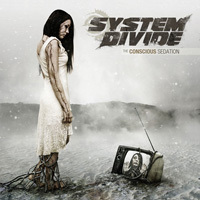 Founded in the summer of 2008, SYSTEM DIVIDE quickly became a transnational project. Within its ranks includes vocalists Sven De Caluwe (Aborted), Miri Milman, Michael Wilson (ex-Abigail Williams), Cole Martinez (ex-Years of Fire, Antenora), Andrew Lenthe (Antenora), and Mike Heller (Malignancy). 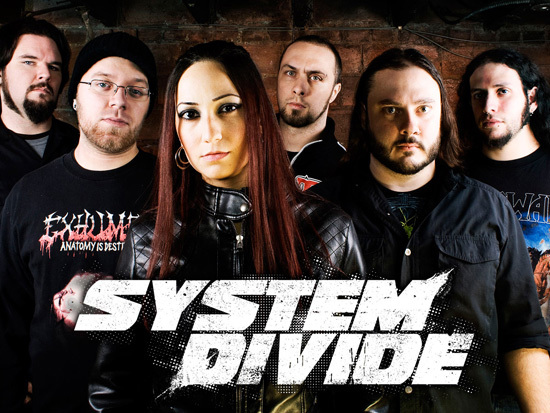 SYSTEM DIVIDE set out to revolutionize the conventions of the over-saturated melodic death metal genre, proving that extreme metal can have more depth than blast beats, while female vocals do not have to conform to the precepts of the “Goth” genre. In mixing many styles, The Collapse, the band’s debut EP, breaks all the rules of extreme metal and is a landmark release for the new band. In order to achieve this complex calculus of sounds on The Collapse, Cole Martinez handled tracking duties at Conquistador Recordings. Mixing and mastering duties were handled by Jacob Hansen (Aborted, HateSphere, Volbeat) at Hansen Studios in Denmark in April and May 2009. Artwork for The Collapse was completed by Colin Marks (Strapping Young Lad, Aborted, Nevermore). The result is a sonic and visual masterpiece that metal has eagerly been waiting for. The band recruited Michael Wilson (ex-Abigail Williams) as a second guitarist after the release of The Collapse EP and continued writing material for its first full length, The Conscious Sedation, which will be available online and in stores everywhere September 14, 2010. Following the philosophy of ‘if it isn’t broken, don’t fix it,’ the band once again recorded with producer/engineer Cole Martinez. Mixing and mastering for The Conscious Sedation was handled by the infamous James Murphy (Aborted, SWWAATS, Lazarus AD, Sigh, Arsis).